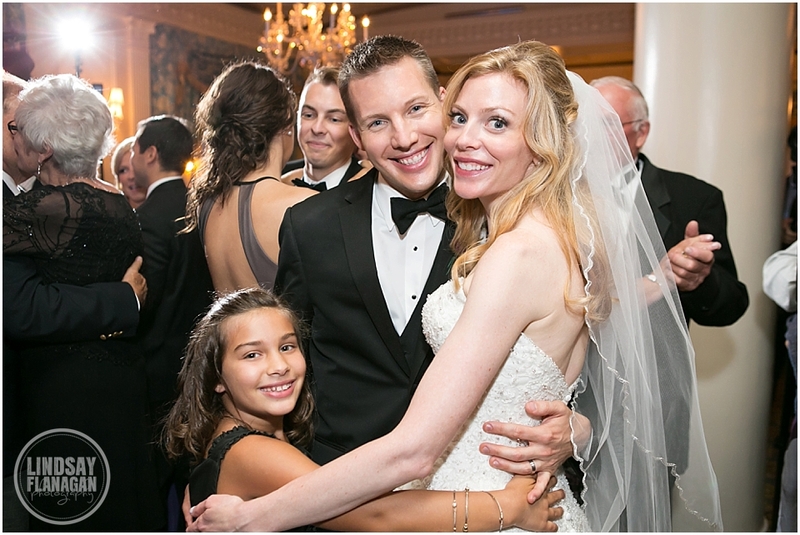 Jennifer and Andrew were married on September 12th with a ceremony at St. Camillus Parish in Arlington, MA, and a reception at the Taj Boston hotel. 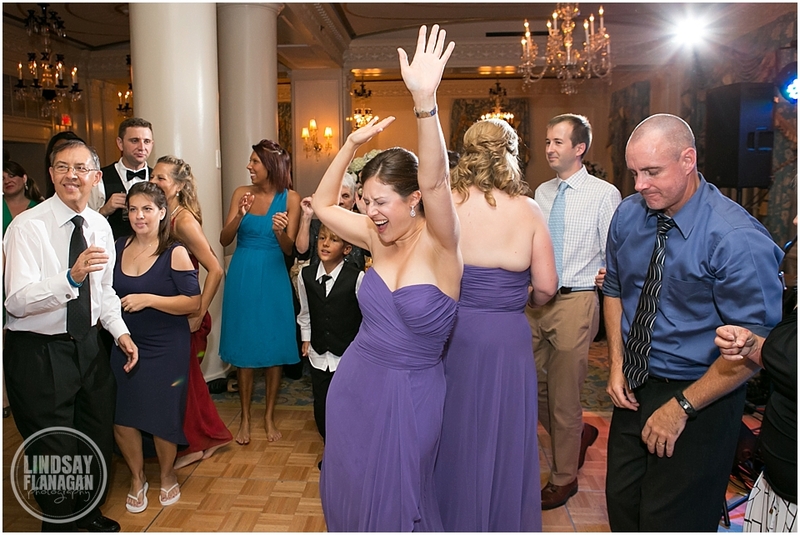 I had been so excited to see Andrew and Jennifer get married ever since I did their engagement session with them. They truly have an amazing love story, and I have been looking forward to seeing them tie the knot. 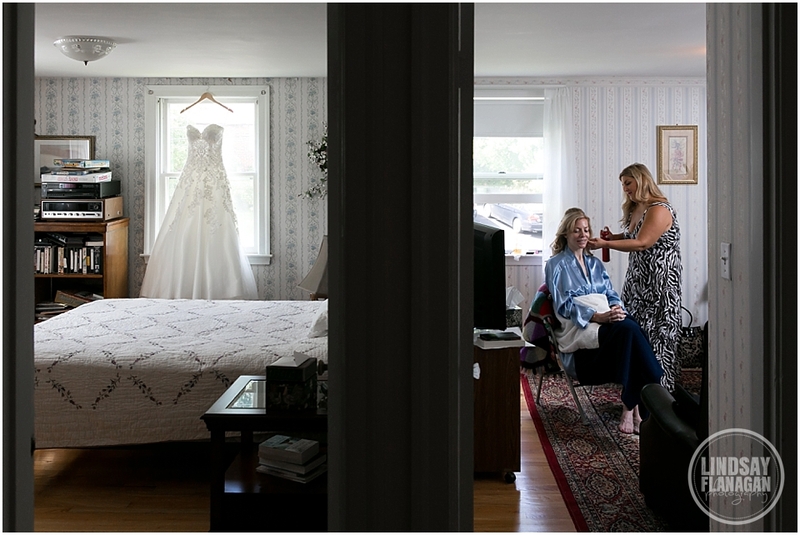 On the day of the wedding, I met up with Jennifer at her childhood home in Arlington, Massachusetts. 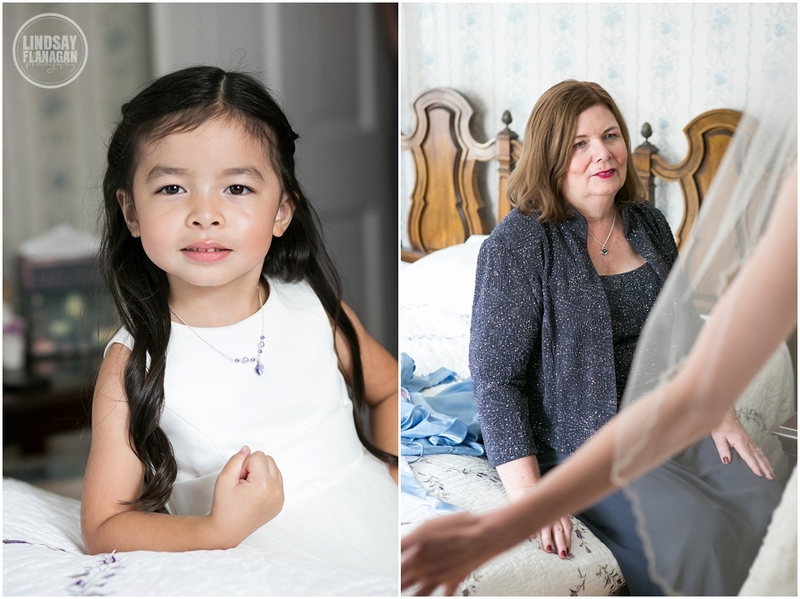 She was getting ready along with her bridesmaids and her mother—they were all getting their hair done—as I went around photographing the beautiful details. 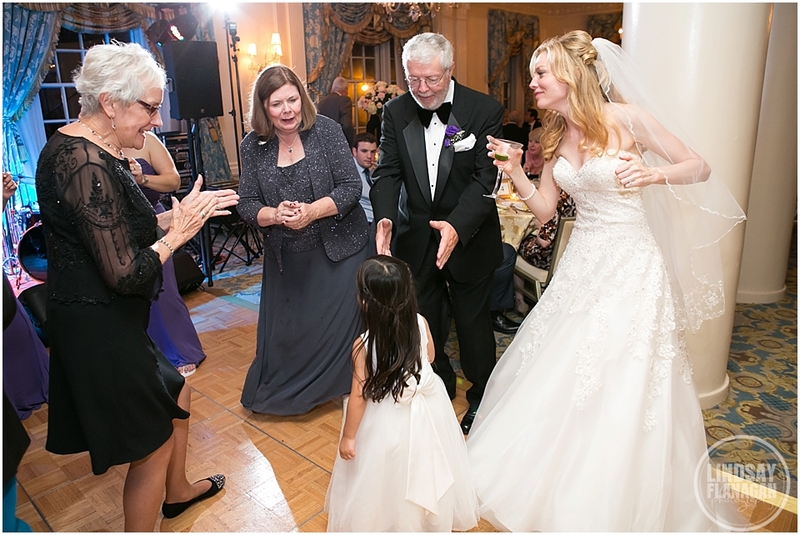 And the oldest flower girl, Emily, is Jennifer’s niece. She was not shy in the least bit and walked right up to introduce herself to me when I arrived! 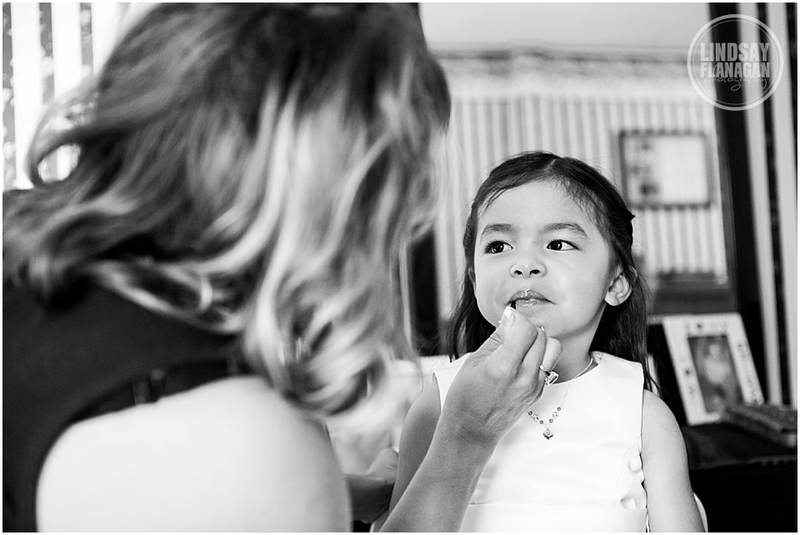 She had been looking forward to wearing lip gloss for some time, and we made sure to get a picture of her in that gloss before we headed to the church. 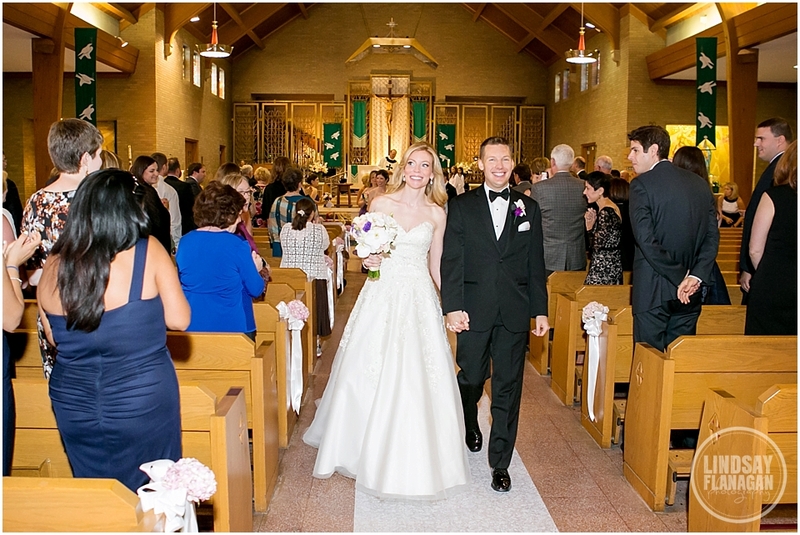 We headed right over to the ceremony as soon as Jennifer was ready to go, because she and Andrew had opted to see each other for the first time as she walked down the aisle. 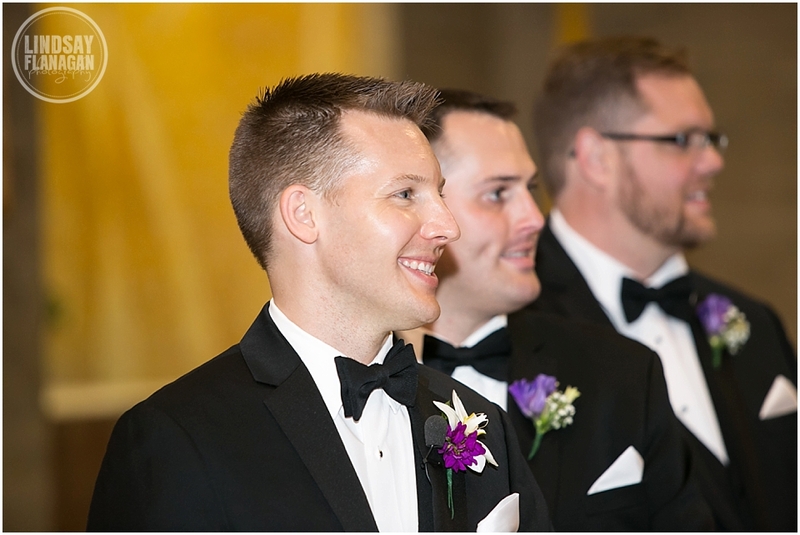 The ceremony itself was truly touching, as Andrew’s dad is a deacon and was able to perform the service for them! After the ceremony, we did formal portraits at the gorgeous Boston Public Gardens, where the flowers were in bloom and the willow trees were as perfect as ever. Then we moved into the reception, where the little touches were perfect. 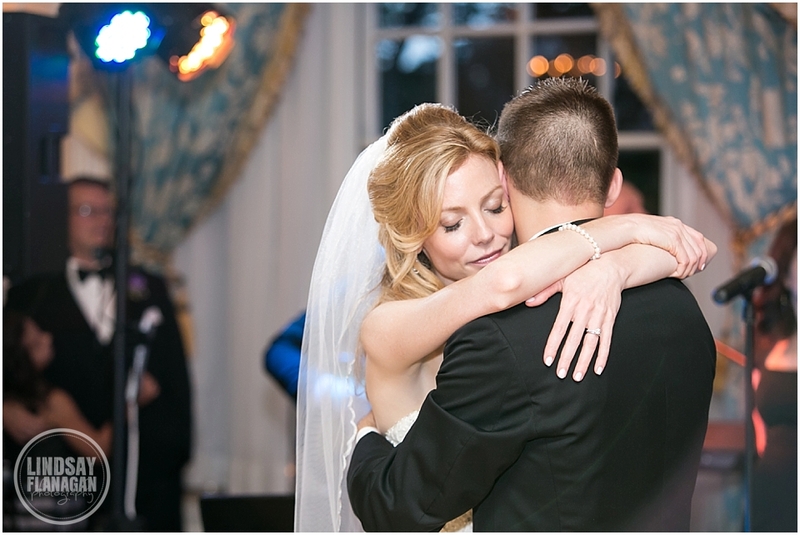 Jennifer and Andrew had a beautiful, touching first dance together! 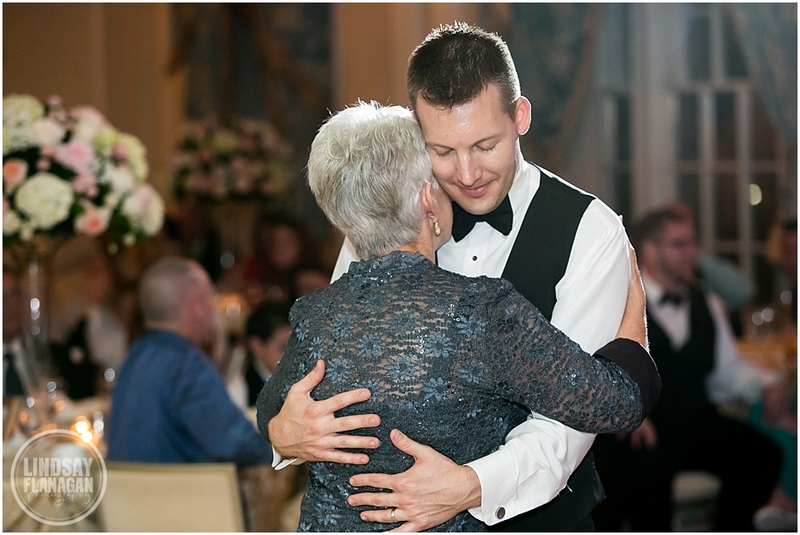 Every time I look at the image of their dance, I can feel the love that Jennifer has for Andrew—I love, love, love moments like this! 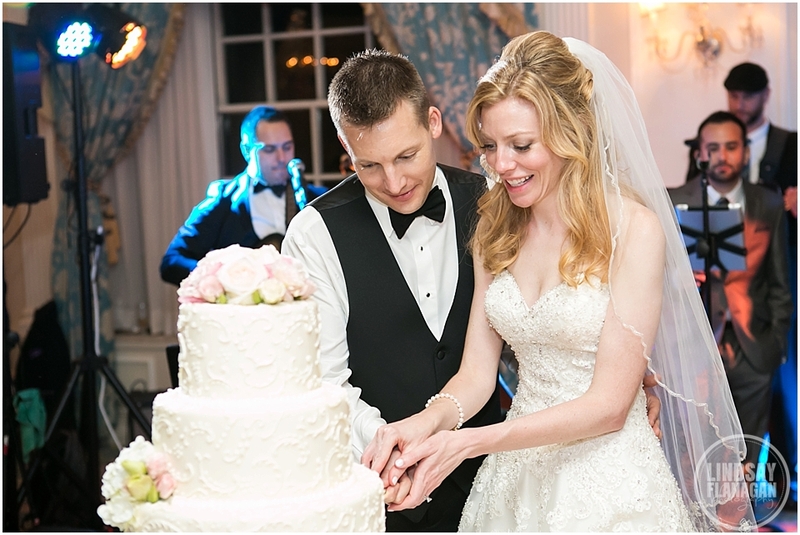 Thank you again, Jennifer & Andrew, for including me in this special day of yours. 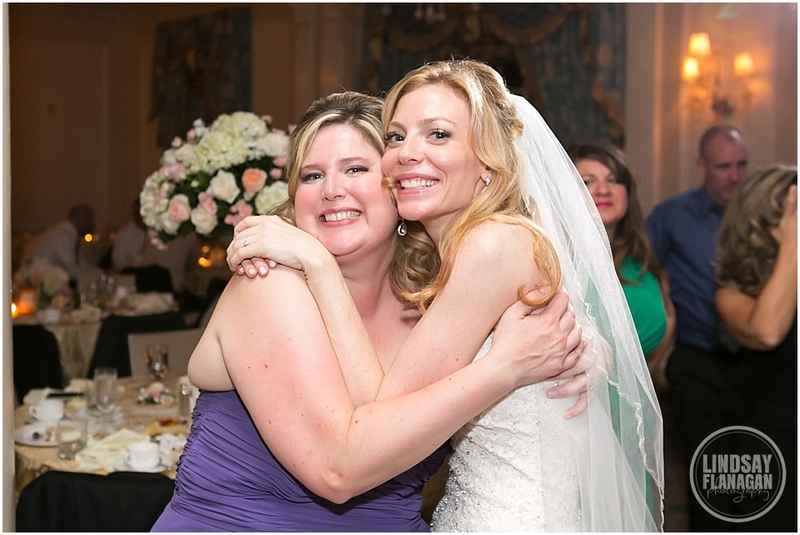 Congratulations to you both, and I wish you nothing but the best!